PHILIPPINE Bowling Federation (PBF) chairman Sen. Vicente C. Sotto III and Philippine Olympic Committee president Jose ‘Peping’ Cojuangco are expected to grace the opening of the 2016 PBF National Championships over the weekend at the Coronado Lanes, Starmall Edsa, Mandaluyong City. A member of the Asian Bowling Federation (ABF) and World Bowling, PBF is hosting the tournament that will be open to all bowlers regardless of affiliations. This singles tournament will feature the following divisions: Men's Open, Ladies' Open, Men's Graded, Ladies' Graded, Men's associate, Ladies' Associate, Boys' 16 & under, Girls' 16 & under, Men's Senior and Ladies' Senior, with total prizes amounting to P700,000. 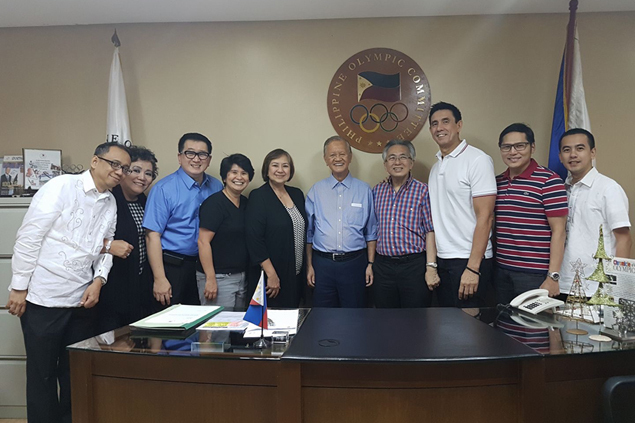 The Philippine Bowling Federation is headed by Former FIQ president, Stephen Hontiveros. Other officers of the PBF include Steve Robles as Vice President, Alexander Lim as Secretary-General and Biboy Rivera as Treasurer. It was incorporated by various stakeholders in Philippine bowling, including former national athletes, bowling clubs and associations, proprietors and bowling enthusiasts. Heading the coaching staff is 6-time World Bowling champion Paeng Nepomuceno. The PBF has just finished a one-month tryout for aspirants to the 2017-2018 National Training Pool. “I returned to bowling because majority of the stakeholders wanted me to help and who am I to ignore them?,” said Hontiveros, also the current POC secretary-general. “I believe the PBF will bring back the country's glorious days in the bowling international scene,” he added. One of the PBF's missions is to rally all Filipino bowlers in uplifting the standards the bowling. It also aims to revive Philippine dominance in the world of bowling and ignite a boom of a new generation of Filipino bowlers.